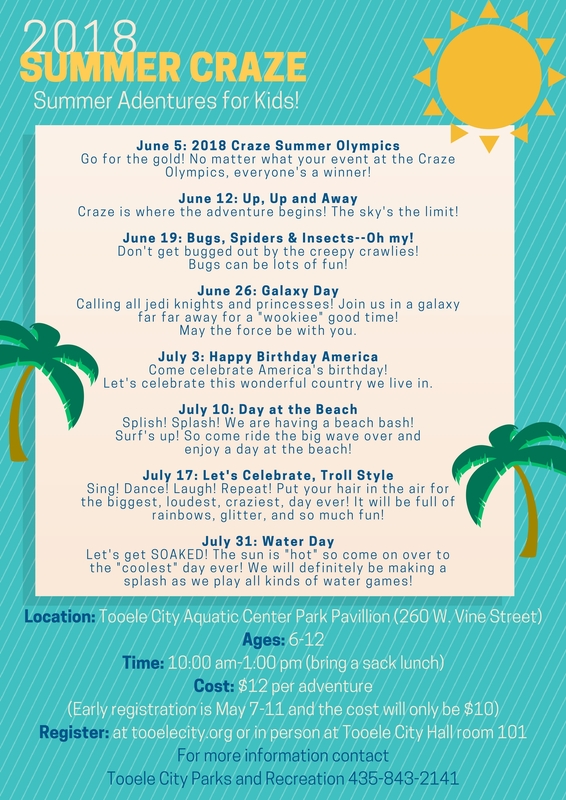 10:00 am CRAZE: Summer Adventures for Kids! 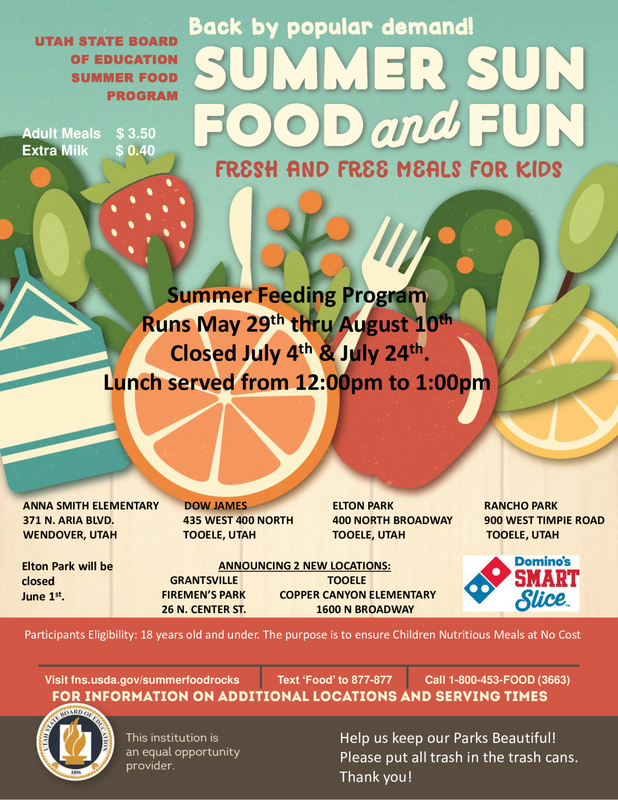 Part of Tooele City’s week-long 4th of July celebration! Rodeo also on July 4th. 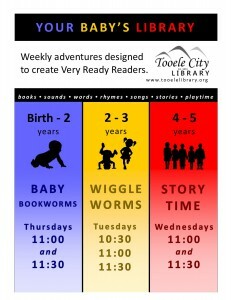 Find more information and purchase tickets here tooelebitnspur.com Fireworks following the Rodeo on July 4th!